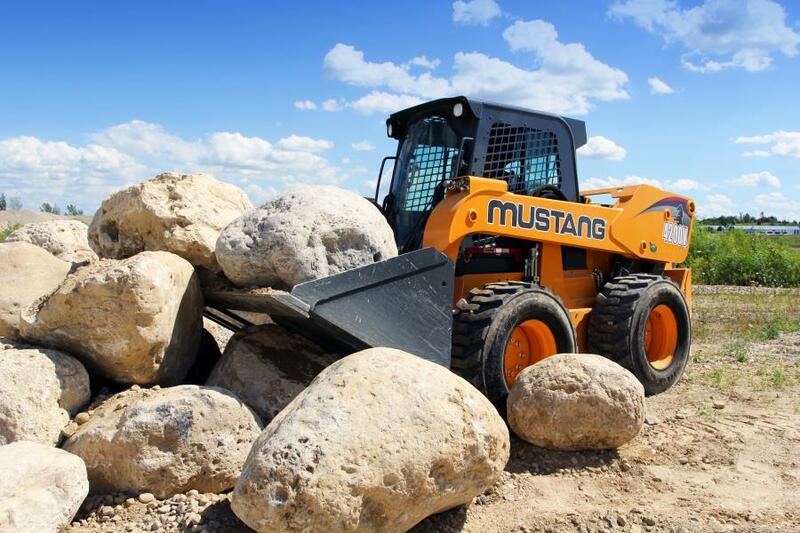 Mustang's 4200V skid steer features a Tier IV certified Deutz 120 hp engine and 4,200 lbs. (1,905 kg) of rated operating capacity. This is an increase of 21.7 hp and 200 lbs. in operating capacity over the 4000V, Mustang's previous model in this size range. For added performance for large jobs, the 4200V offers 354 ft.-lbs. of torque. With an operating weight of 11,665 lbs. (5,291 kg) the 4200V is the largest skid steer loader that is offered in the market today, according to the manufacturer. 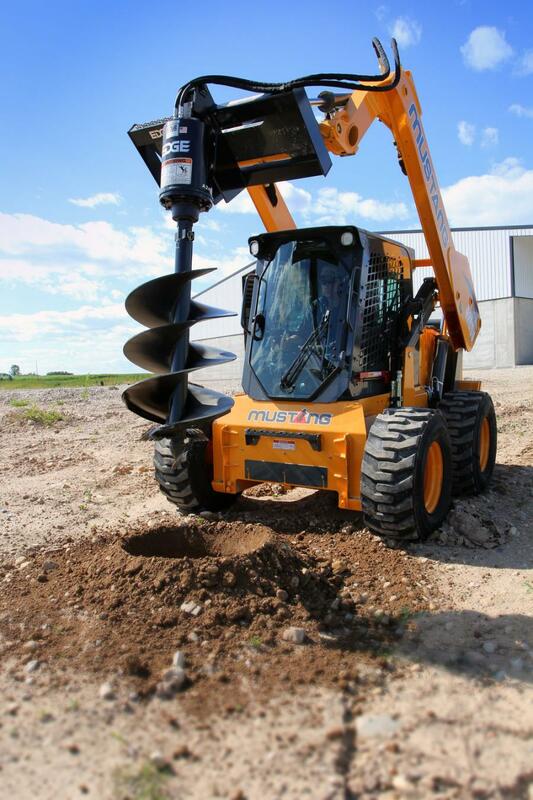 The large skid steer loader comes standard with cab, heat and air-conditioning; 14-pin connector for easy attachment use; two-speed for travel around the job site; and Mustang's hydraglide for a smoother ride and less material spillage from the attachment. A vertical lift path of almost 12 ft. (3.6 m) allows for excellent dumping and loading performance. The 4200V skid steer is configured to be a true tool carrier — coming standard with the features needed to operate attachments such as mulching heads, cold planers, rock wheels and many more. High flow auxiliary hydraulics are standard equipment and offer hydraulic flows up to 41 gpm (155 Lpm) for optimal performance. Five easily accessible auxiliary hydraulic lines with flat-face couplers are available on the front of the machine near the operator's station for easy access. 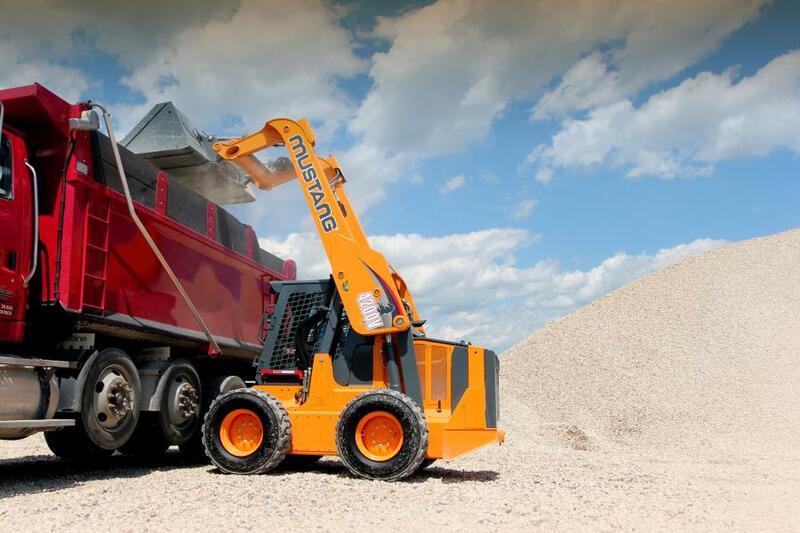 The 4200V cab is spacious and comfortable for the operator with a suspension seat and pilot joystick controls. Increased visibility is possible through a large, domed glass front door and wide side windows that can be opened for added ventilation or talk to co-workers. A foot throttle or hand throttle allows the operator to easily increase travel speed or machine functions. An optional rear view back up camera provides increased visibility to the rear of the machine. Available in February, a radio with hands-free Bluetooth allows for the operator to make calls or easily stream music from another device for a customized environment. Optional features include, but are not limited to, impact resistant door, 3 in. seatbelt and shoulder strap, rear view camera, brake release, and rotating beacon. 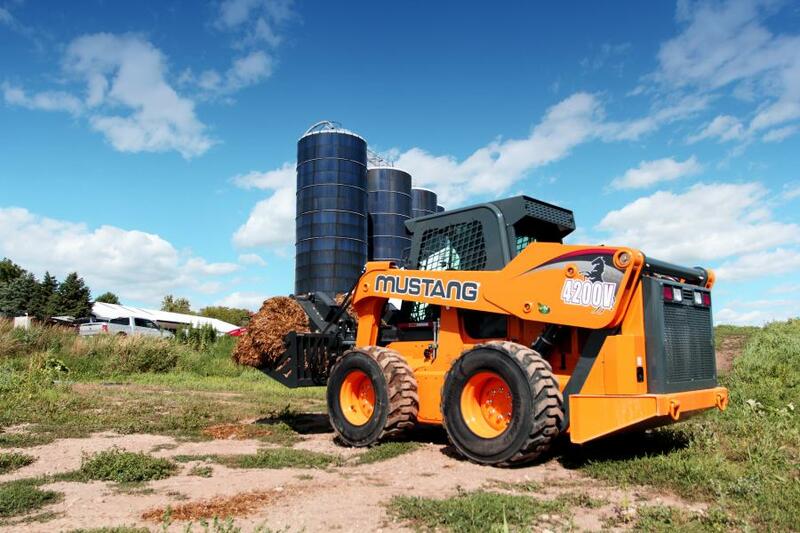 “The Mustang 4200V brings to market the most powerful skid steer loader with a 120.7 hp Deutz engine and 4,200 lbs. of rated operating capacity. Built to handle the toughest applications, the 4200V excels in demolition, heavy construction, and road building and infrastructure,” said Nathan Ryan, global product line manager, skid steer loaders.